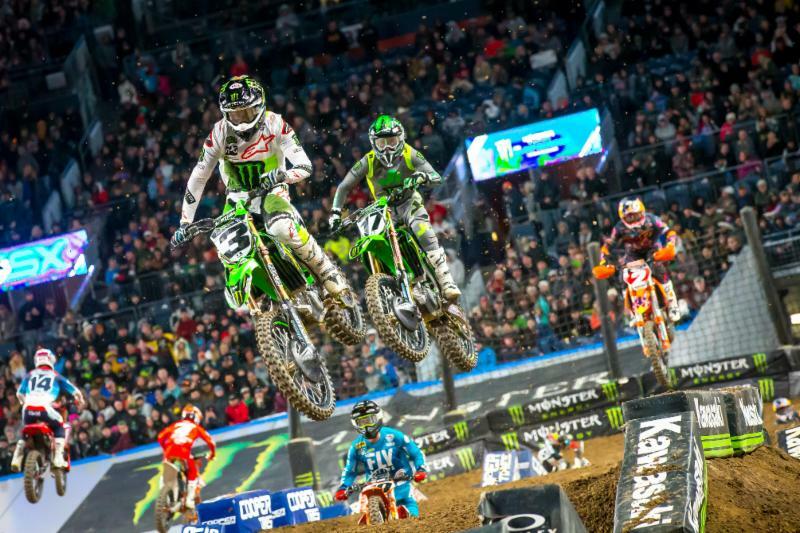 The track at Broncos Stadium at Mile High for the fifteenth round of the Monster Energy AMA Supercross, an FIM World Championship was under snow a few days prior, but conditions were dry for racing as Kawasaki won both classes in front of 59,718 fans who braved the cold night at 5280 feet of elevation. 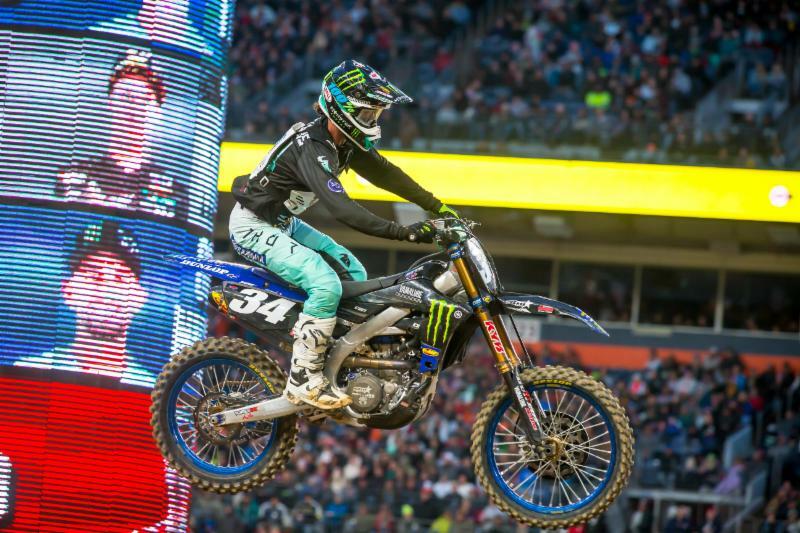 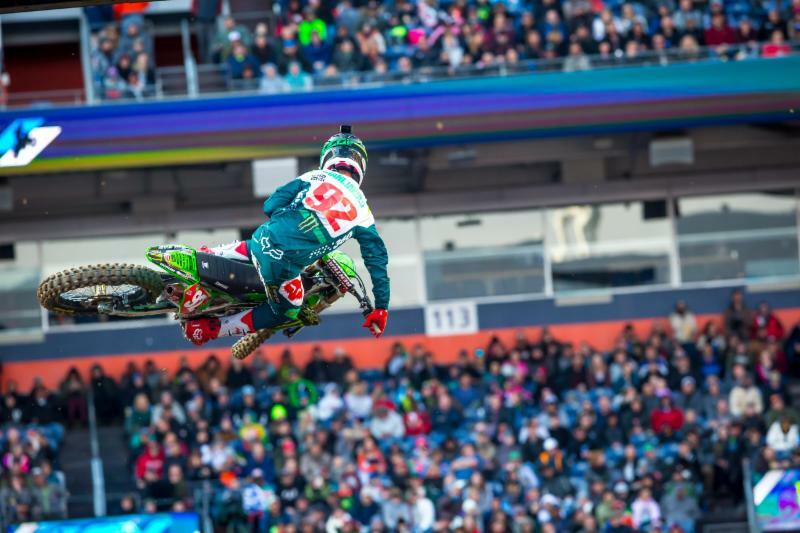 Monster Energy Kawasaki’s Eli Tomac put on a dominating show in Denver, a hometown race for the Colorado racer and at a venue that’s only been on the schedule once before, 23 years ago. 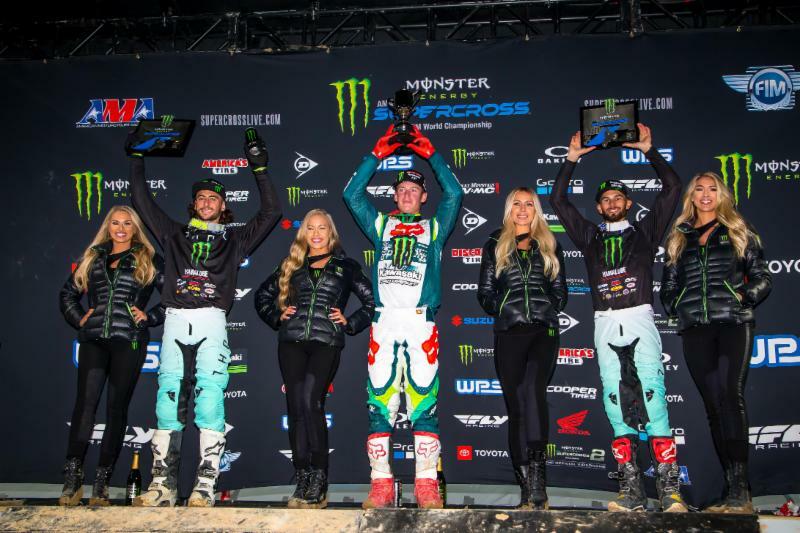 With the win Tomac pulls to within 18 points of the title with two rounds left. 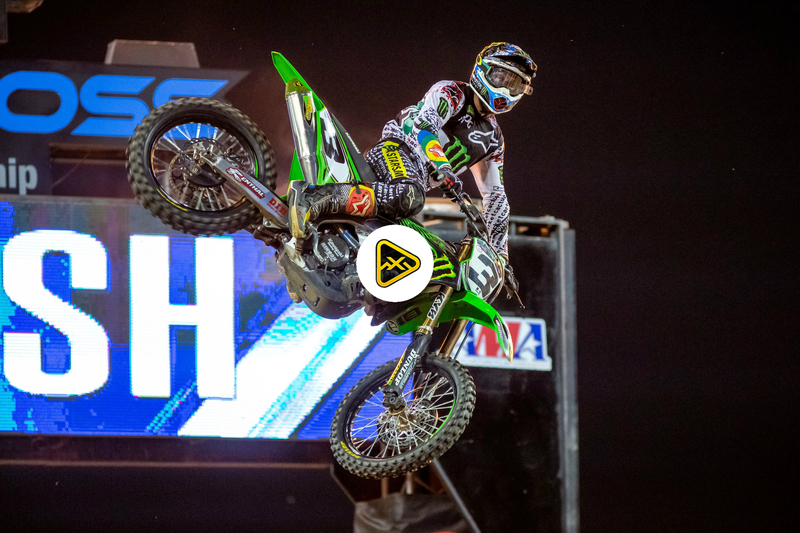 In the penultimate round of the Western Regional 250SX Class, Monster Energy/Pro Circuit Kawasaki’s Adam Cianciarulo had a near perfect night and won the Main Event to stretch his points lead from five to eight. 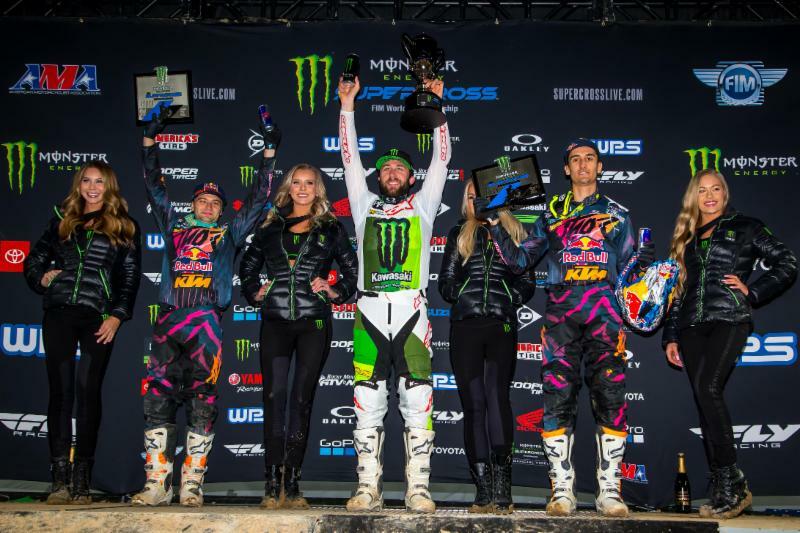 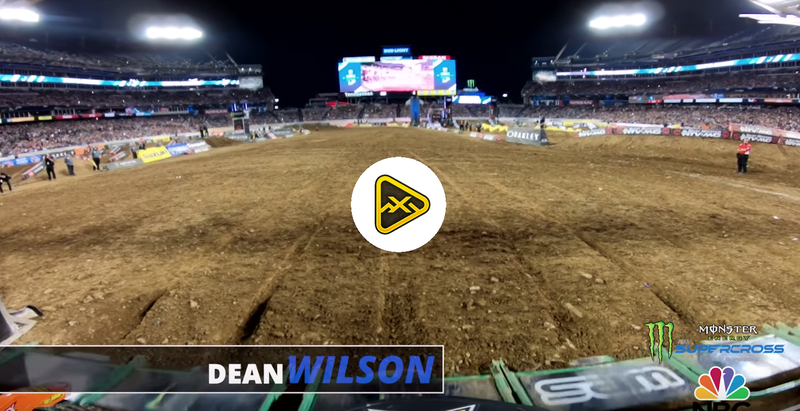 It was the fifth time Kawasaki has won both the 450SX and 250SX rounds in the same night this season; the record for most dual-class sweeps in a season was set in 1991 by Honda. 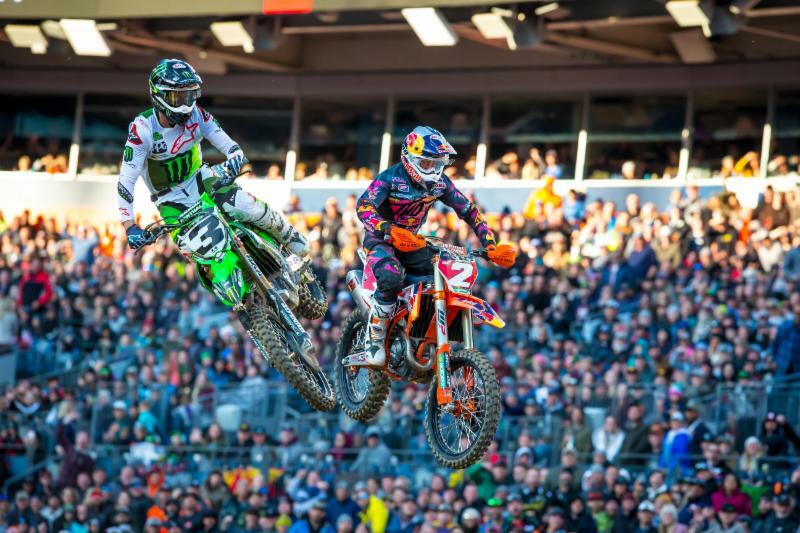 Only eight points separate Dylan Ferrandis (34) and Adam Cianciarulo going into the final East/West Showdown event in Las Vegas. 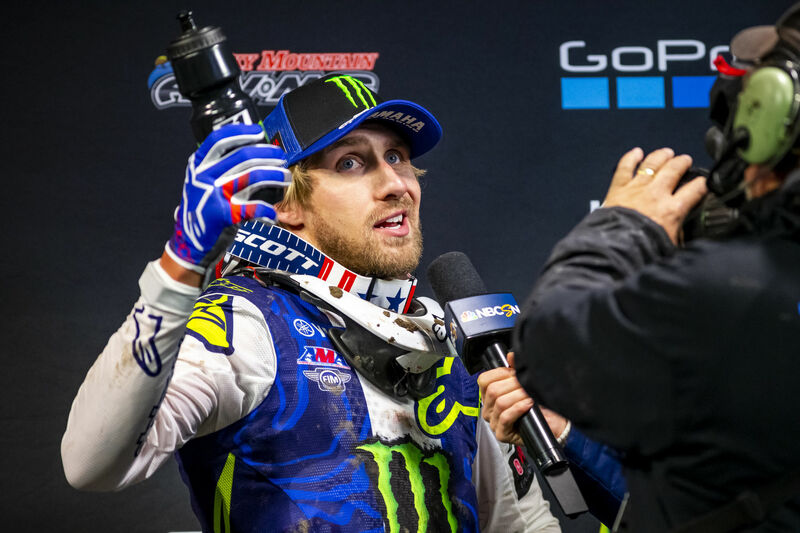 Photo Credit: Feld Entertainment, Inc.